The Heritage Coast Stud was started in 1975 by Robert and Hannah Skepper. Hannah had been brought up on Horsey Island with her parents Nancy and Jasper Backhouse. The Island has bred top class Pure Bred Arabians since Horsey Island Stud was established in 1935 by Nancy. Nancy was well known on the show circuit and became an Internationally recognised In Hand Judge; in her later years she was invited to judge at the Australian Arab International. Nancy and Jasper had two daughters and a Son; Mary, Hannah & Joseph. 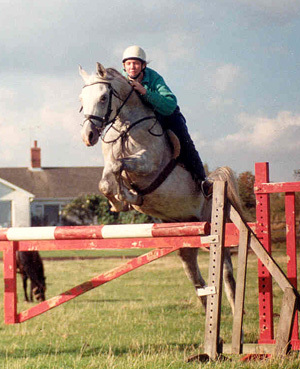 Hannah married Robert and started the Heritage Coast Stud; Mary married Angus Bancroft and they started the well known Water Farm Arabians and Joseph has taken over the mantle of the Horsey Island Stud. It was from Horsey Island that the first resident stallion of the Heritage Coast Stud came from, Lone Tornado. 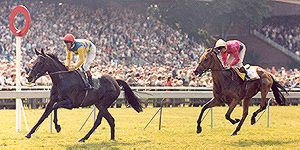 Nancy gave him to Hannah for the whole family to enjoy and he ended up being ridden by all of Hannah and Robert's children competing at all levels and also racing in 1986. During this period he was also being used on cross bred mares to produce some part bred arabs. From 1975 to 1995, Hannah and Robert bred flat thoroughbred racehorses from the stud. They had 8 resident mares at their peak and produced yearlings at the Highflyer Sales (now Houghton), St Leger Sale (Doncaster) and the October Yearling Sales. 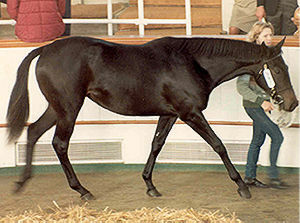 During this period they produced 32 yearlings of racing age of which 56% were winners. For our racing record click here. As the costs of sending mares to good stallions was increasing and the resident mares were all getting older it was decided to stop producing flat horses and use the good quality thoroughbred mares to produce top class Anglo competition and race horses. This does not include many other foals we have delivered on behalf of our clients for Flat racing, Endurance, Show Jumping, Dressage & Arab racing. Placed at County Level in hand and ridden. Represented PC in SJ and Area Event teams. Won SJ Championships(inidividual and team) at Malvern. Premium graded Anglo Arab Stallion. Sold to Mr Turner in 2000. Now competing at Novice Endurance level.